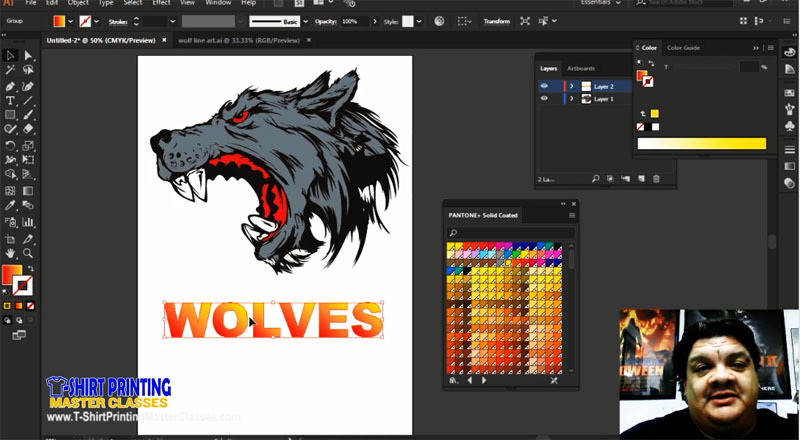 This course covers all about how to setup Adobe Illustrator to do great T-Shirt graphics. You will learn basic to intermediate technques used by T-Shirt artists day in and day out to create and color separate T-Shirt images. Whether you are a total beginner who has never even seen Illustrator or even a seasoned pro looking for those hidden tips and tricks - this course is what you need to understand and use Illustrator in your shop. Three hours of short focused videos. Refer back to them over and over for up to TWO YEARS! This course it taught by Jasper Crawford, a working "in the trenches" T-Shirt artist who has a degree in graphic design and has been doing T-Shirt graphics for over 13 years. And, Jasper is a disciple of Scott Fresener and was heavily involved in the early T-Jet DTG training and support. 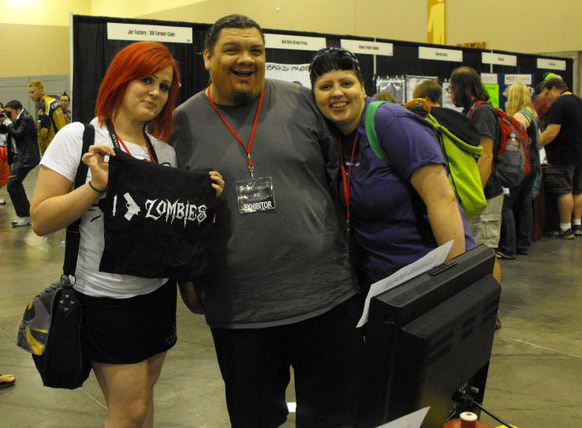 You will learn all of the important tools, menus and techniques that are used by T-Shirt artists day in and day out. A few of the course videos are presented by Scott Fresener. This is not a course to teach you everything there is to know about Illustrator. There are books and dozens of online videos that cover every tool and menu and what they do. But.... you will learn techniques that are very T-Shirt specific like the proper Color Palette/Swatch to use, how to choke and trap colors, how to create an underbase, how to output film, how to do special effects and a lot more! This course is taught in Adobe Illustrator CC 2017 but the techniques shown will work in almost any version of Adobe Illustrator. Jasper Crawford has a degree in graphic design and has been actively working in the garment printing industry since 2004. He cut his teeth in the business traveling the country with Scott Fresener doing software demos at trade shows along with teaching graphics and other courses at U.S. Screen Print and Inkjet Technology. Jasper has been Owner and Co-owner of two successful Screen Printing companies along with offering his services as a Consultant and Teacher for other businesses. Jasper has worked with and done color separations for such companies as Chase Bank, Grand Canyon University, The Phoenix Coyotes and America's Mighty Warriors Foundation. He is currently Production Co-ordinator and Lead Graphic Designer at Fierce Printing in Tempe Arizona.